It felt like this winter will never get cold enough for me to wrap myself in my new coat. I tried wearing it once or twice, but I always ended up carrying it in my arms as I was so hot. Winter of 2015 was more of a leather jacket appropriate. 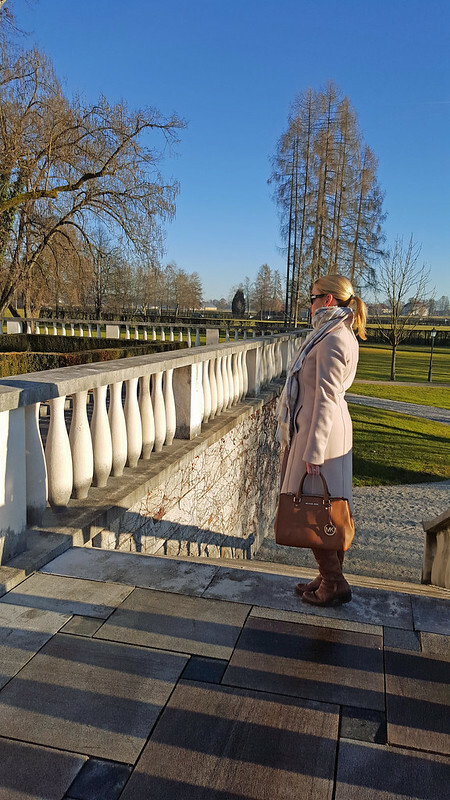 Luckily, we flew to Slovenia for Christmas, where the weather was a bit colder and I finally got my chance to enjoy this Reiss coat and work on my winter style. I’ve been very much into pastels this year. If you’re a Londoner like me and use public transport a lot, then you’ll know that pastels aren’t usually the best idea (definitely not if you prefer not to make dry cleaners your boligatory lunchtime stop), but I can’t help it. 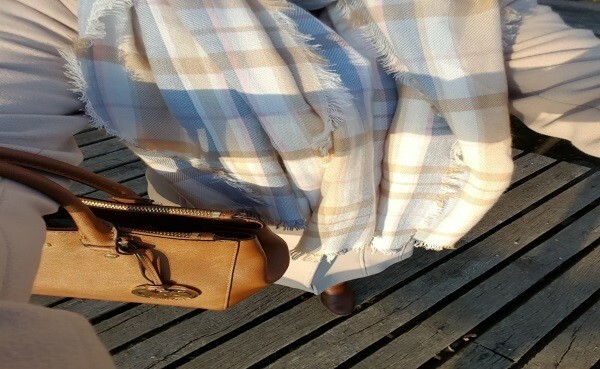 I think that the coat looks absolutely amazing and I love the gentle colours of the blanket scarf. The boots are absolutely wonderful too, extremely warm and comfortable. What I love the most is the little heel as it makes me feel a bit taller (being 5.1). When I first put them on I thought they were too tight around my knees as they squeezed my leg in a not very flattering way, but after wearing them for a day, they adapted to my leg and now I wear them almost every day. Not only do they look fab with my skirt, they add a bit of oomph to my distressed jeans outfit too. The Michael Kors bag only compliments my winter style I think. It’s all about pastels and tan for me. I bought this bag a year ago and use it almost every day as it just about fits my Macbook Air. 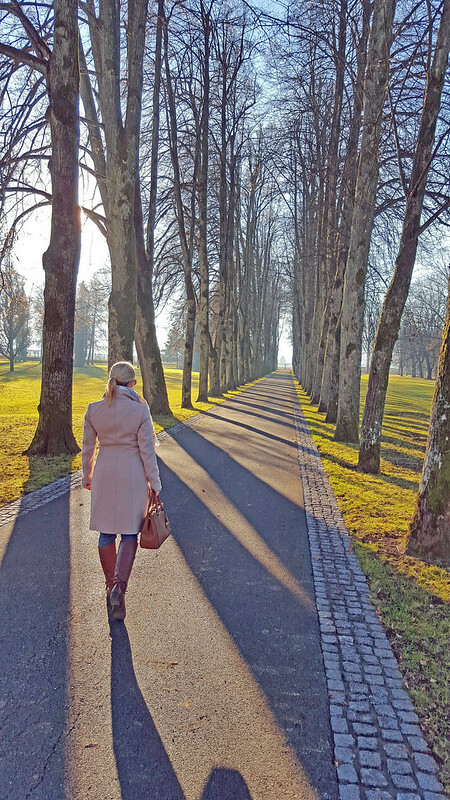 When writing this post I realised that my lovely coat has been sold out in the light colour, but a dark one is still available as is this one. My favourite feature is the high neckline, which has been really useful in the last week when we saw temepratures drop to zero in London. If you want to shop my style, please see details below for retailers and items.